I redeemed this nail polish from Sample Store and the color of the nail polish was sent randomly. So I received it in 06 Sunset Shell. 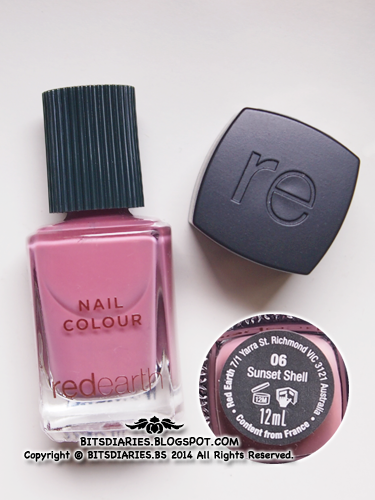 It's a mauve pink-lavender color that is perfect for Fall/Winter season. When I first received the nail polish, it was well-wrapped with a transparent plastic sheet, which in the picture, I have already removed it. It comes in a sturdy glass bottle with a two-piece cap, which I don't really know what the extra cap is for... Anyway, both the caps are in matte greyish-black and are made in plastic. The square-ish shape with the engraved letters "re" is a pull off (extra) cap and the one attached to the bottle is a screw-off cap. The nail polish comes with a broad brush tip similar to OPI, though it's slightly less wide than OPI, in my view, it still makes the application easy. The formula is excellent! ; It takes two coats to get opaque. 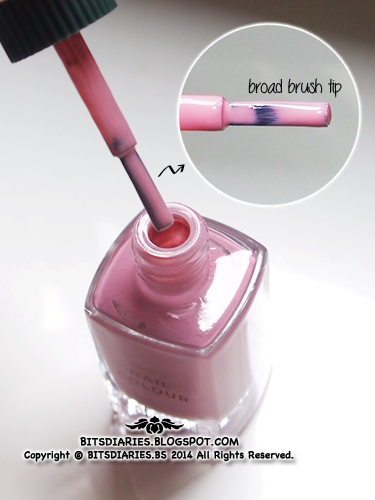 It applies smoothly and evens out perfectly by the second coat without any streaks at all! Also, it dries fast, leaving a 80% glossy finish. - without top coat, it's not very ultra glossy as claimed. Verdict: I won't beat around the bush... 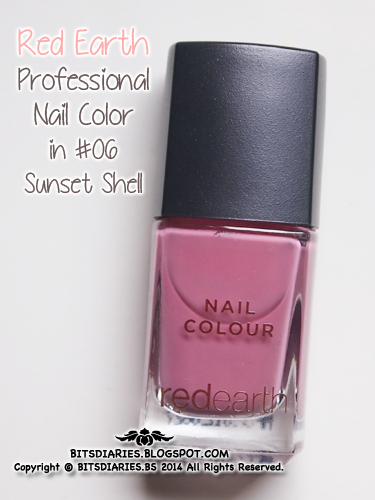 I really like this nail polish because the formula, brush tip and color are great. Guess what? People who reside in Singapore, you can redeem yours at Sample Store. Visit https://www.samplestore.com/r/89441 to redeem! Note: It goes out of stock very quickly so redeem it while it's still available! If it's unavailable, then you may want to wait for the restock. Alternatively, you can purchase it from BHG (Bugis), Metro (Causeway point), John Little (Plaza Singapura).